O God, who on this day didst teach the hearts of Thy faithful by the light of the Holy Ghost, grant us by the same Spirit to judge rightly in all things, and ever to rejoice in His consolation. Through our Lord Jesus Christ, Thy Son, who lives and reigns with Thee in the unity of the same Holy Ghost, God, world without end. Amen. 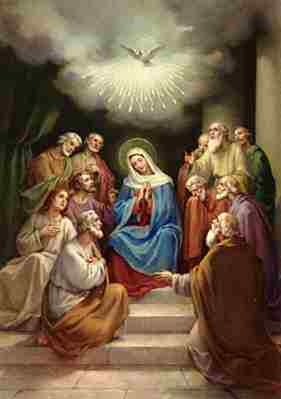 When most people hear the word “Pentecost,” they think exclusively of this feast we celebrate today, the descent of the Holy Ghost on the Apostles and the Blessed Mother. But the reading we just heard from the Acts of the Apostles tells us that ‘The days of Pentecost were drawing to a close...”  when the Holy Ghost came on this particular Sunday. For the days to “draw to a close,” apparently something else had already been going on. Indeed, this was an important day in the lives of religious Jews in Jesus’ time. Like the Passover, it was one of three “pilgrimage festivals,” for which adult Jewish men were required to journey to Jerusalem for religious rites at the Temple. It marked the beginning of the wheat harvest, and the offering of the new wheat before the divine presence of God at the Temple. “Pentecost” was a word of the Greek speaking Jews, for “pentēkostēs—Πεντηκοστῆς” means fifty. 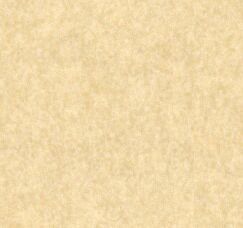 It was the fiftieth day after Passover. In Hebrew it was “Shavuot,” and also referred to the anniversary of God giving the Law to Moses on Mount Sinai. But this Shavuot—this Pentecost—would be an altogether new thing for the pilgrims to Jerusalem. They had come to offer sacrifice before the divine Presence of God in the Temple, but that Presence had fled the Temple on Good Friday. The veil of the Holy of Holies, where God dwelled, had been ripped in two from the top to the bottom. It was not as though men had reached up and torn the veil, but God Himself, or perhaps His ministering angels, had parted the veil so God could leave. Those who came and heard Saint Peter preaching on that day, discovered a new mode of the presence of that very same God. The Holy Ghost came upon them to make them understand the Apostles, each man in his own proper language. For those that were baptized and remained in the state of grace, God, the Holy Ghost would dwell in each of them, just as He had done in the Temple. As they joined the newly founded community of Christians, they would be introduced to the daily offering of Holy Mass, and the reception of God in a physical way they had never before imagined to be possible. They had come to celebrate the giving of the old Law to Moses. On this day they learned that Jesus had “come not to abolish but to fulfill” that Law. The externals of the Law would no longer bind. Circumcision would no longer be a mark on the body, but rather a mark on the heart, a mark on the very soul with the character impressed of Baptism. The myriad animal sacrifices would be replaced with Holy Mass, the daily renewal of the one Sacrifice of the Cross, joining man to God in time and place—not just in the Temple, not just in Jerusalem, but anywhere in the world, “from the rising of the sun, even till its going down.” The Commandments would still be kept, but now they would be kept out of love of the Father rather than in the servile fear of a slave. If you love Me, keep My commandments…. If anyone love me, he will keep my word, and my Father will love him, and we will come to him, and will make our abode with him. We ought to realize that Pentecost has the same meanings for us as it did for the Jews at the time of Christ. It may not be the radical change for us as it was for them, but the concepts they learned serve equally for us. Remote preparation might also include reading the text of the Mass beforehand, so that there are no questions in our mind what they mean. The best method would be to read them at home from your Bible, so that you can see what comes before and after them, to understand them in context. At a minimum, remote preparation means arriving a few minutes before Mass begins in order to enter the prayerful mood necessary for fruitful participation in the Mass. Remote preparation for Mass also includes making a regular Confession. If we are to receive our Lord in Holy Communion—as we always should each time we attend Mass—then our souls should be in the state of sanctifying grace. Monthly Confession is not to often. And it would also make sense to examine our consciences during those few minutes before Mass, so we can tell God we are sorry for all of our sins, especially any sins yet to be confessed. For the Jew, Pentecost was the feast of the Mosaic Law. Observance of the Law may be different for us and the ancient Jews—they had a number of ceremonial practices that would be meaningless for us—but we do share the same Commandments of the Moral Law, and indeed all men and women are bound by the Natural Law of God. Some say that it is written on our hearts. It takes very little reflection to realize that society just cannot stand very much lying, stealing, beating, and cheating and still survive. A little more reflection will remind us that we have a duty to worship the One who created us and keeps us in existence. Of course, as Catholics, we have the benefit of the Church’s authentic interpretation of what the Law means for us. The Holy Ghost is given to us as a new “Advocate”—someone to advise and comfort us. On one hand, nothing is new—like the Jews of the Old Testament, we still must keep God’s Law, and worship His as He has directed us. But, on the other hand, we have been given a new and unique aid to do the things we must. In His goodness and mercy, God has given us the Holy Ghost that we might judge rightly in all things, and ever rejoice in His consolation.